Hello, world! Let’s get baking! And cooking! And, very importantly, eating. Hi! I’m Margaret, a self-trained cook and avowed chocolate-lover, cooking for myself, my husband, and my baby daughter in our condo. Cue the cozy domesticity! This blog is about about making EASY preservative-free meals that real people eat, in real people time (I also work outside the home). You can read more about me in my Intro-Part 1, Intro-Part 2, and Intro-Part 3! 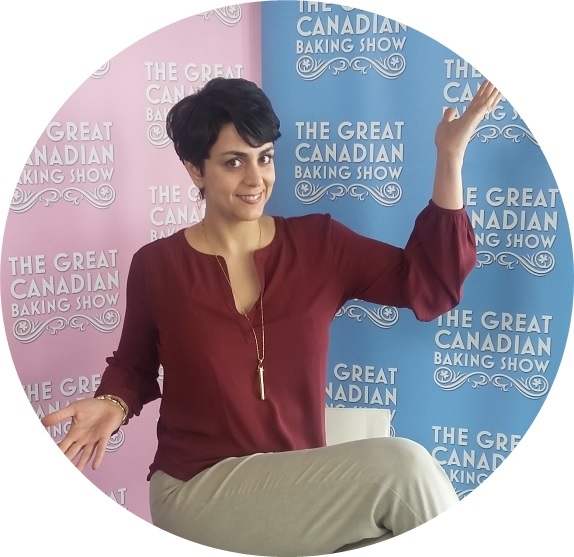 I’ve also done some fun things, like winning a Canada-wide baking competition for my Harvest Apple Crumble recipe, or like when I auditioned (invite only!) for The Great Canadian Baking Show. This blog, Approaching Food, is about sharing recipes that can be made simply, with standard ingredients, no preservatives, and that aren’t all fluff and trend. They’re delicious, satisfying, and easy to make! Plus, you don’t have to be a Top Chef to make them. Beginners welcome! (Experienced cooks too!) Stretch your cooking skills and join me as we approach food, and become a foodie in your own home! For fresh content weekly, join other subscribers on my email list, and get the recipes as soon as I write them! Plus, your first email will include a FREE copy of my e-book “This for That: Easy Kitchen Swaps & Hacks”. Sign up now! 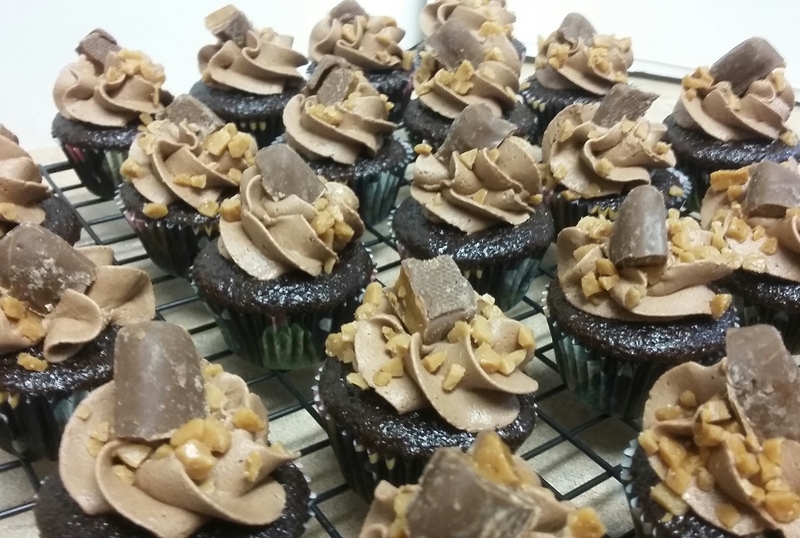 Skor Mini Cupcakes! An example of the type of recipes that I send to you via my email list! Subscribe and get recipes delivered straight to your inbox!